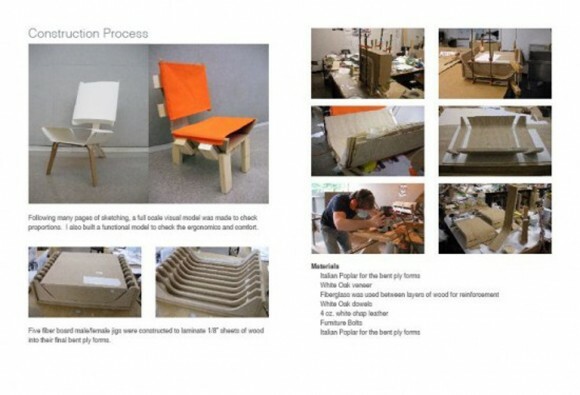 This wooden furniture chair decor designed by the students from University of Cincinnati. 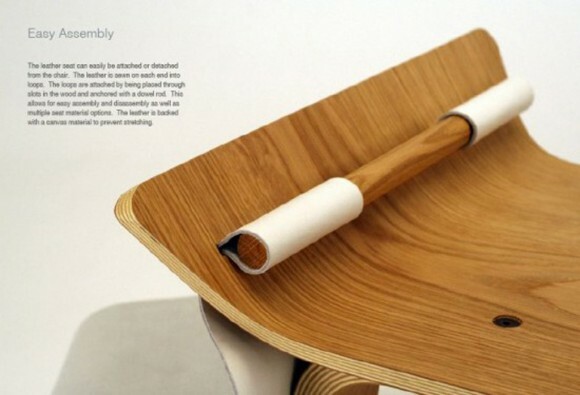 The unique design of this furniture will embrace and rob our attention. 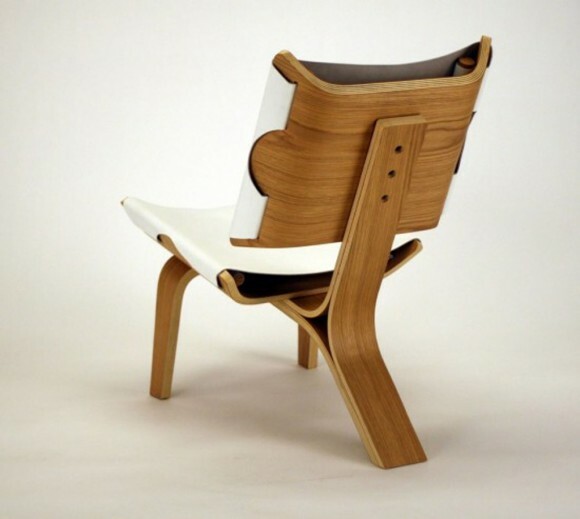 The combination material of this decorative chair design idea was made from the combination of leather and wooden material. 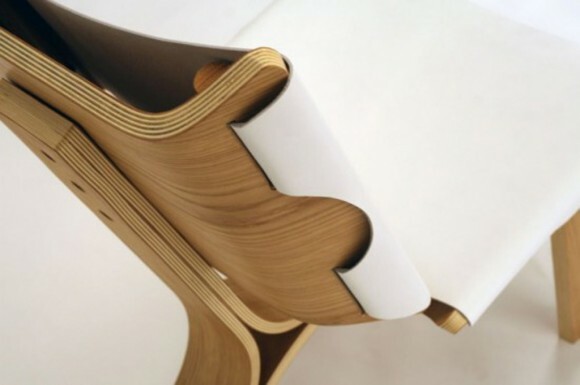 See the detail shape of this modern leather seat furniture. 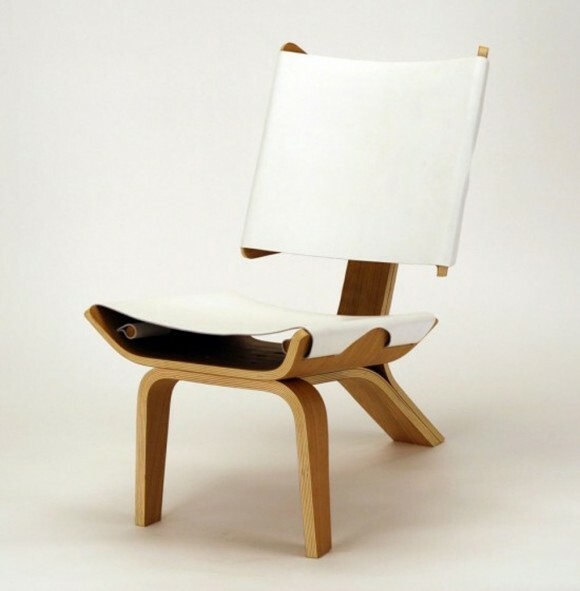 The white color system form the leather material combine with the natural wooden material will bring both unique and comfortable feeling when we were sit in. the small free space of this contemporary seating furniture can be use as magazine place. This light of weight chair was design in small size. Called as Kurven Chair this small furniture was designed in various color system. So, we can choose which the best one for us. If the usual chair has four feet, this chair was designed in three feet to hold on. Well, now you can complete your decorative space trough apply this unique wooden chair plan design.